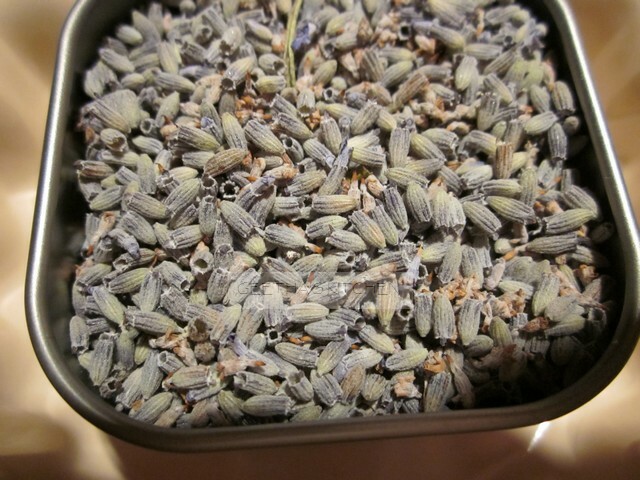 The idea for these cookies was prompted by a lovely gift of culinary lavender. 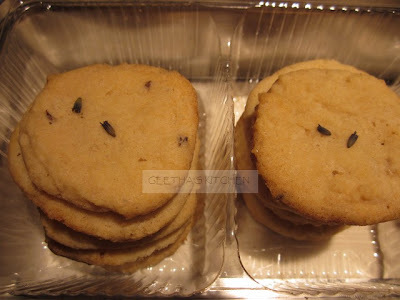 Buttery Lavender Cookies are wonderfully fragrant and are very quick as well as easy to make. I made them while preparing the rest of the dinner. They are fabulous as desserts or tea time treats! Be warned - they grow on you :D.
You may use fresh lavender if you grow them; make sure they are not sprayed with pesticides or by pets. Allow the butter to come to room temperature. Line a cookie sheet with baking parchment paper. Combine flour, baking powder, salt and 1 tsp lavender in a bowl. Cream butter and the sugar in a large bowl until light and fluffy - an electric beater makes short work of this. Add the cornstarch and water to the butter mixture and beat well. Fold the flour mixture into the butter mixture using a rubber spatula just until the flour is incorporated. Use two tablespoons to scoop the cookie dough into little balls (they don't need to be perfect) and place an inch apart on the lined cookie sheet; gently press a tiny bit of lavender on top if you wish. Bake for about 15 minutes on the top rack of the oven; the edges of the cookies should just color pale golden. Let cool for a few minutes before removing the cookies to a rack; cool completely before storing in an airtight container (if there are any left :D). Enjoy! !